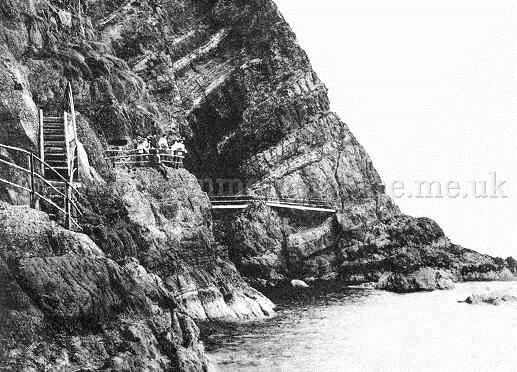 This is the cliff path that took you round the Gobbins in Islandmagee. Sadly the old one is no longer there but there is now a brand new one to walk round. It is is so popular you must book.The year this photograph is unknown.